Well, Beatrice reached the two month milestone last week! She's been smiling for a few weeks now and seeing her toothless grins is still one of the best things in the world. I was FaceTiming with my father other day while taking a walk with (a fussy) Beatrice and he mentioned that that might have been the first time he actually heard her cry. She'll occasionally fuss when she's tired, but mostly she's all about that cute happy face. I don't think seeing babies smile ever gets old. Unfortunately, wine does get old. I probably keep rosé longer than most people and sometimes there's a downside to it. 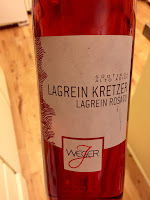 The Josef Weger 2011 Lagrein Rosato (13% abv. Purchased $12) was definitely past its prime. 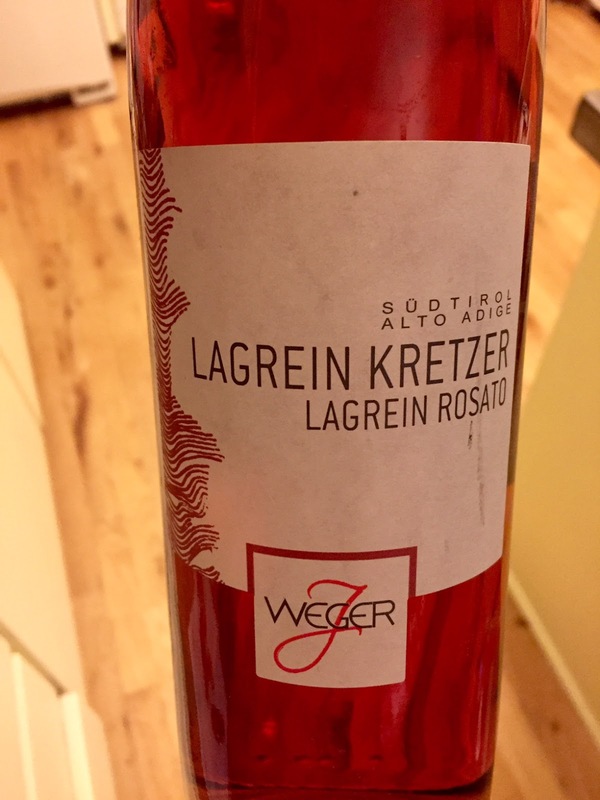 Lagrein produces tannic red wines in the Südtirol, but that trait didn't help keep this rosé going strong five years in. Now it wasn't bad, but it was on its last legs. It had some dried fruit - raspberries maybe? - and dried herb characteristics, but not much else. I had a second glass the following evening to see if it changed at all, but there definitely wasn't any improvement.